There are many ways to design a new lawn sprinkler system. But for optimal results, your new Franklin lawn irrigation system should be customized to your lawn and landscape. During the design phase, experienced contractors will take into account the types of turf, trees, shrubs, plants and flowers present in your lawn. They will also consider the slope of your property and the amount of sun or shade your lawn does or doesn’t receive. Partnering with an experienced contractor is your best bet for an efficient and cost-effective lawn sprinkler system. An experienced contractor can easily survey your property, locate your property’s water source, read the water pressure, and help you design a lawn irrigation system that suits your lawn, landscape, and specific irrigation needs. In Franklin, homeowners know that they can put their trust in DJ’s Lawn Sprinklers, a leader in residential lawn irrigation systems in southeast Wisconsin since 1988. 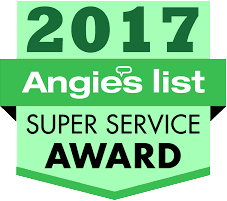 DJ’s Lawn Sprinklers employs a team of knowledgeable service technicians who have been hard at work with the company for 13, 14, 15 years and more. At DJ’s, providing excellent customer service and quality workmanship are our top priorities. Call DJ’s Lawn Sprinklers today so you can see firsthand what sets them apart from the competition.